I took this picture because I want people to understand that there are two different meanings to a scene like this. Meaning 1: it’s a dedication to someone’s death. Meaning 2: it’s to let people know that it’s a drug related spot. 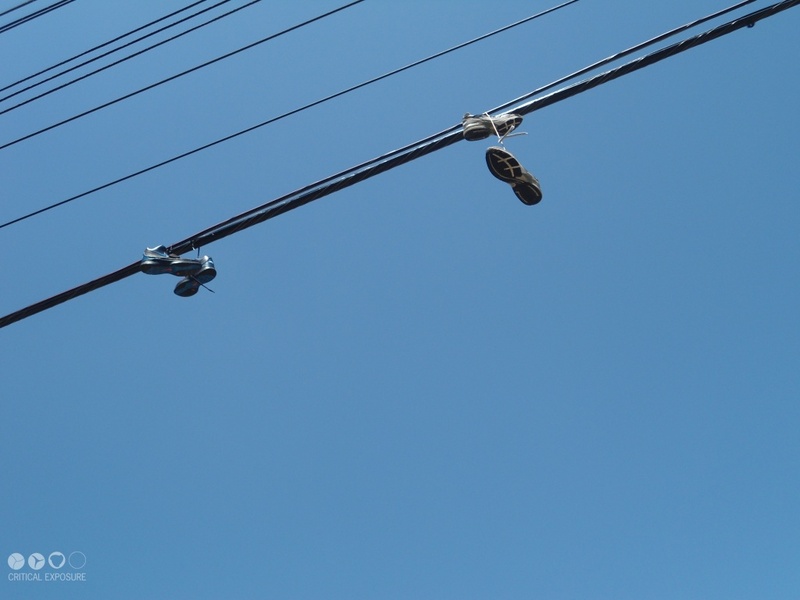 I also took this picture to let people know that many people are affected by drugs and violence and that no one should be exposed to these types of things in a neighborhood. 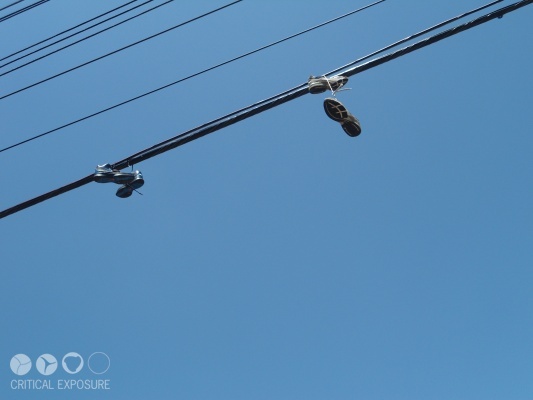 Shoes are not meant to be on a telephone wire, they’re supposed to be worn on people's feet.